Let’s discuss about the “International Business”. International means no restrictions of boundaries. If you are working with an International unit, you will have to go anytime anywhere in the world. Get Latest Career Notification about MBA in International Business, by entering your details below. You must hold the bachelor’s degree minimum of 3 years duration in any of the disciplines & score at least 50% marks in the qualifying examination. You can join this course after completing your UG degree in B.Tech/B.Arch, medical, arts, humanities and science. For this course of study, you have to clear entrance exam+ GD (Group Discussion) + PI (Personal Interview). Candidates appearing for a qualifying examination can also apply only if they submit the proof of required qualification before the commencement of the session. The student must have to appear the entrance test such as MAT 2019/CAT 2019/XAT 2019 or ATMA 2019 before to get the admission in MBA with any specialization. After qualifying the entrance exam, students will be called for a second round which includes group discussion and personal interview. Yes, you can do the MBA in IB through the distance learning education programme. Some of the universities conducts the entrance exams. Sikkim Manipal University and Indira Gandhi National Open University are offering the distance MBA programme. The IGNOU conducts the OPENMAT 2019 as entrance test. International Business is one such career progarmme which offers ample scope for career in international & transnational corporations. With the huge growth of international business, the demand for individuals increased with an understanding of global markets & in-depth knowledge. A student having the degree in international business can be a part of private and government sectors. This specialization provides the great opportunity to work in a global market and across the world. The MBA in IB person can join the international market department of the companies, international placement offices, import and export departments of companies, global shipping companies, global tourism sector, international consultancy firms and international logistics & courier companies. There are lots of job opportunities not in India but also in abroad. You can also work in financial institutions, banking sector, securities firms, hospitality & travel and tourism industry. This field has a good opportunity to get the handsome salaries. It has a more opportunity to get a career in abroad and get the salary in foreign currency. A postgraduate in international business from a reputed institution can get the initial salary offered range from 5 lakh to 12 lakh per annum and the designation will be as a management trainee. 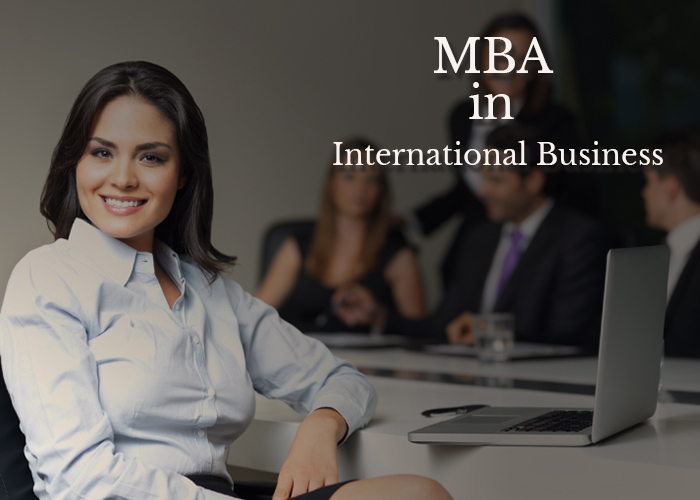 If you have any query about MBA in International Business, you can ask your query below. I’m confused which course should I select to get better salary and good job opportunities. Both fields are good, but as you are from chemical branch, i suggest you to go for oil and gas management, which is related to ur field, whereas IB, is a broad business field and not provide any specialization that u will be getting in Oil and Gas Mgmt. I have finished automobile engineering and i want to do MBA,which stream is good in MBA. IB,HR or any ,please help me i am confused???? hi i am into recruitments right now and want to persue pgdm in ib. what can be the scope of hr and ib?? The scope of HR and IB is good, you will have opportunities ahead and good chances of getting promotion. MBA IB is a good career option, you can pursue it from their, but do check the previous placement stats of the said college. hi… I completed my engineering in IT sector. But i stared working in marketing & sales for a comapany. Currently i am working for an FMCG sector as marketing & sales manager.In total I have an experience of 3 years.I will be pursuing my Executive MBA from a reputed university in lucknow. 1: what is the scope of doing executive mba from a reputed university? 2: which course i should adopt marketing or International bussiness? 3: After my completion of Mba in IB will i be getting jobs in fmcg sector..because i want to work in this sector only. yes it is a good option for you, since you have got 3 years experienced in this field, and after completing this courses you will have have good chances of getting promotion. I complete my 1st year of MBA regular in gujarat technological university ..now I have to choose specialization subjects.. So m going to select Ib…will I able to work in hr, finance and marketing department of company after this? Is there any boundaries for job in any department after this? hiii I am a defence personal. I want to do MBA in IB as correspondence course. Please guide me. Which university is the best for the course and about carrier. Thanks sir. hiii I am a defence personal. I want to do MBA in IB as correspondence course. Please guide me. Which university is the best for the course and about carrier. Thanks. there are so many best universities but you would have to do the distance course and lfor that you may go for the best distance education universities like IGNOU, SMU, etc. I hv jst completed my 10 board exam and our provisional sec. Hv been alloted to us. I hv been provided with bio, also i hv taken addmission in a reputed institute for biology but, now i am attracted towards management. Can u tell me what should i do?? Just focus on one thing first, if you want to pursue medical than go with it and never look back…and start working hard. The management education can be pursued after graduation. On an average it is around 75k per semester. Is there any scope of growth and good salaries after doing an MBA in IB. I have done my graduation in french language. Presently m teaching french in school n English in private institutionas. Would u help me to decide whether to go for HR or IB? as per your area of interest. I have done my graduation in french language. Presently m teaching french in school n English in private institution. Would u help me to decide whether to go for HR or I? i have completed my b.com recently now i am interested in doing m.b.a.i am also working as an employee presently in education dept.so i cant complete mba through regular mode.i have to go for distance i.e. ignou…is it valuable to complete my mba through distance(ignou)..and i should i go which field marketing,finance etc etc…will i get a decent job kindly suggest………. I have done my bachelor’s in biotechnology. Now I want to go for MBA but confused about the specialization. Which field of MBA has a better scope when International business and HR is concerned? Both the specialization you’ve mentioned are good, If you wish to go abroad then IB is good and HR is also a good branch as lots of job opportunities are available in this field. yes this university is OK, but do verify the placement stats of the university for the past years. wats ur suggestion for a fresher lik me sir, whether part time values or full time in IB?? For a fresher full time course is best…as you will learn many things by attending the classes. Degree is better than the diploma and you can do the MBA in IB or IT. hello, i am venkat, presently i am working exports dept, I wanted to do MBA in International business in distance. is it better to do in distance program or in regular program. please suggest me. I have been searching many sites to get answer for it. MBA regular is always preferred over distance, but in your case you are currently working so it will be better if you go for distance. The other option for you is to prepare for the exams like CAT, XAT, MAT and then go for MBA (regular)from a good college. I cmplted my 12th(mpc) for this year. Since, i’m from middle class nd i’m totally confused that i need a good salary job oriented course. Plz help me as much as possible. It’s much imprtnt fr me plz sir. Currently I’m working as a senior merchandiser in a buying house. now I want to do MBA ib. Will it help my carrier??? But i am like scared to opt finance..
Is there lot difference between doing it regular or in correspondence…?? yes difference is there. Regular courses are given value by the recruiters. Regular is full time course, in which you have to attend the classes…on the correspondence or distance you have to just give the examination..
B.com with specialization in accounting and finance.so should i choose hrm or finance or ib. I am pursuing b.com last year in regular and cs also..what course should i choose as my future career.? you may get the position of HR exe. or manager in company dealing in export business. hi . currently I am working as marketing executive in yarn exports. which MBA should I choose . MBA in marketing or IB. MBA in marketing will suit to you. hi am rishabh, i am in BBA sem6 with specialization in marketig. I want selest IB trade in MBA. Please suggest me a suitable stream in MBA. IB is the best specialization. I got admission in IPE Hyderabad (PGDM in International Business). Program commences by June 2015. I am an electronics and engineering graduate with 2.2 years of experience in IT industry. Can I expect a good career after doing MBA in International business? Yeah sure, IB degree may help you in your career promotions and also it may play a vital role in want to to work abroad in future. I am planning to pursue my further education in PGDBA in International business from NZ. As I already have 3 years of Exp in animation field as a production coordinator and had a BCA degree.I am still confused regarding the selection of course from IB, logistics , operations and finance. Which will be the best suitable option for future. I am interested in IB an Logistics. yes sir i have seen that but i am at present doing ma final semester in B.E mech engg. so after that i would like to do MBA in that terms can u suggest me a suitable stream in MBA coz am really confused here only few months to start MBA class with in that i need to get admission in a college. i have taken mat exam. can u guide me in this situation sir pls.. Regular is best than the correspondence but as you are working now then you must go with correspondence and scope is best in IB. Thank you sir. I will do the same. I know both the field are good.. MBA hr and ib.. But in which field I may get a good job with good income!?? There are various courses and career options we have listed in our website, choose the one in which you are interested..
hai sir am at present doing B.E in mechanical engineering, and after this i want to do mba so can u pls suggest me which stream should will suits me . Sir I have done B.Tech in ECE . Now I’m doing my family business .I’m planning to do MBA . please suggest me best MBA stream which is best if I’ll join my family business or either if I want to do job after MBA which one is the best stream for me. Factory of manufacturing KATHA(catehu) the main ingredient of pan masala and we have BRICK KILN. Sir, In future if I want to go with job than it suits me or not. I have done MBA in IB but could not get able to find good company from where I can Start my Career In International Business. Kindly Suggests me which sector(DEPARTMENT) is better scope in International Business in India and Outside India . There are many sector like IT, logistics, retail, manufacturing, first of all search for a job in the field where you are interested, have some experience under your belt. Every big companies operates in multiple nations and therefore you may get a chance to work internationally if you have good experience and expertise in a particular field. Im doing my b.com 3rd year in corres.. n i wanna do mba after ds.. but confused in which field shud i go whether hr or ib or any other stream where i can expect good salary ..?? see in which field you are interested, IB deals with international buss, whereas HR professional are requred by every organization. Both field are good and have huge opportunities ahead. hlo sir.. i m 12th commerce student…n want to make career by doing mba in international business…kindly tell me which bachelor degree should i take….plz provide information abt various alternatives present before me..
You can pursue BBA, B.com, or BA…and start you preparation side by side to pursue a career in management field. I have 6 years of experience in Export and Import from supervisor level to assistant manager 3 years full time before pursuing graduation and 3 years after graduation. Shall I go for MBA IB from top rated Universities in UK and what is my career prospect after that? after MBA, you may shine you profile and as you told that you have experience in export and import then MBA IB will really effect your career. Hey Sidhartha I m also doing grad frm open and I also want to join export house.I want to know does it have a good scope in future and will it affect my studies. yes why not. Go for it, wish you best luck. Stay connected with some of the job portals and register yourself with them. They will provide you the updates of some career requirement according your profile. get the best preparation for the interviews and connect to the recruiters. MBA (IB) course After B.Pharma is sound unmatched. if you wish to do the MBA then go for the stream hospital management. MBA IB is good but do that course as per your graduation subjects. Hey I wana know that I am law graduate from ip university and wana go for MBA option so which will b beneficial IB or HR Wats the scope. IB has great scope and so HR, both are good it depends upon your interest, In IB you may work internationally with forign companies, this field offers much more exposure and learn internationally field. Hi , I work in a govt bank as an asst manager for the past 5 years. Now am pursuing MBA in distance. Now its time to choose my specialisation. I have plans to do Internation business. Pls tell me the scope of it relating to my banking field and experience. Pls guide. Why don’t you choose the finance and accounts. I completed my graduation in BBI in 2012,Now want go for Part time MBA (IB), i m totally fresher, can i get any good opportunity in good company after completion of MBA? Yes you may get the job, but you need to sharpen your skills like communication, Business knowledge etc. Sir ji,Kindly reply it So that I can do something.At present I am so puzzeled due to market scenario where so many MBA’s wondering for job with there degree’s. you can Prepare for the MAT and CAT examination and choose the right institute, and surely you will have better career ahead. Sir Kindly suggests some good institute in delhi for digital marketing course? Thank you sir for a guidance.Is it compulsory to do some course in digital marketing for more preference or if it is ,Sir kindly suggests some good institute for Digital Marketing Course in Delhi??? Sir I am pursuing MBA major in marketing and minor in international business.As there are so many field in marketing like market research analyst, advertising marketing,brand marketing ,retail marketing, Digital(online)marketing and telemarketing but I unable to choose which field is better at present and have more scope in coming years.Kindly suggests me. Digital(online)marketing has a good future scope. I have PG Diploma in Marketing and now I am pursuing MBA in IB, which sector is beneficial for me. Depends on your interest. IB is also based on the foreign market and relative affairs. MBA in IB is one of the growing career these days. I read the post & all the comments. Loved the way you have included all the essential details in your post. I started my MBA through distance learning fRom IMT Ghaziabad. My 3rd Sem exams are going on & I have to choose a specialization next Sem. I actually did my graduation in BCA, & gave a year’s gap because I wasn’t sure if I wanted to do MCA(& did Cisco certification courses to keep myself indulged, CCNA & CCNP). When i started MBA I had already joined my father’s business, & I’m currently helping my elder brother with his business. I had thought that maybe this is what i wanted to do all along. But lately I have been reading about MBA in Marketing, HR & IB as these are the fields that I feel I’ll be good in. Please guide which field shall be more fruitful for me, & if distance learning will actually hold a good value in my CV considering my background. MBA in IB is a first good choice. it is a booming career option. best of luck. Can I go for IB rit after ma 12…and how many years it will take to complete the course? i have done MBA in Intl. Buss. having background in IT security. first gain experience and then demand is automatically generated for you. There are ample job opportunities in international business, as you have mentioned you have 3 yrs work experience, which is good for your profile, but it is better if you do the above mentioned course from the reputed institute, or you can also pursue this course through correspondence. Business through distance mode as I can’t go for regular leaving job. So, Is it fruitful for me doing MBA in IB? yes it will be off course. MBA in IB covers all aspects including finance, accounts, commercial aspects and planning. it will sure give you more benefit. Yes it will be continue in my course MBA and completed by b.com computer application it will sure give you more benefit. HI, I have IT experience of around 6 years and now am planning for MBA in IB. Is this will help me to grow up in my future career? of course, there are several IT profile’s in international business and after completing your MBA you can hold the management post in such IT profiles. An education always gives you the opportunities. Thanks for ur prompt response, But I am looking from a distance institution. Is this will make valuable with an IT experience? i agree that the distance education use to be considered as less potential than the regular courses in our job market. will be OK if you go for the regular. but i can suggest you the option that you may get the IB from distance and can continue your work in IT or you may choose an MBA in IT field which will suit to your working profile. Am interested in IB want to move into international business management. From Core technical I want to change to Semi technical. Thats what I am looking for. MBA in IB is a great career option for those who want to enter in the International Business field, this field is quite challenging and you may find a job in foreign country, but you must have excellent communication skills and excellent leadership qualities. Well briefed info for program aspirants! I’m too pursuing this course from a reputed university. There are ample of opportunities for the MBA IB professionals and that’s why I opted for this course. Hi this is bal bahadur, my current profile is export coordination and i,m pursuing mba ib from annamlai university before i complete this course what kind of job i can get in international business. I confused to choose stream in mba but still I clear. Thank you..
Would I certainly be eligible to apply for MBA in Ib? Can u plz guide me about Annamalai university. Is it a good university and his degrees are valid in international market.